Sarasota’s newest luxury condo development is now for sale ! Looking for a downtown Sarasota condo near Wholefoods ? What condos for sale in downtown Sarasota include a deeded boat dock ? 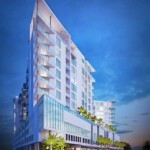 Downtown Sarasota’s 1350 Main has condos for sale and great restaurant choices too !